Dr. Shu Chuen Li is Chair Professor and Discipline Convenor, Discipline of Pharmacy and Experimental Pharmacology in the University of Newcastle, Australia. Before taking up the present position, Professor Li has worked as an academic at the National University of Singapore and as Acting Director and Deputy Director, Pharmaceutical Evaluation Section (PES) of Pharmaceutical Benefits Branch, Commonwealth Department of Health & Ageing in Canberra. He earned his PhD degree from Monash University, Australia. 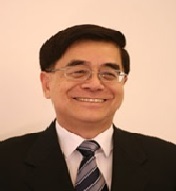 Dr. Shu Chuen Li major areas of research are clinical pharmacy, cost-effectiveness studies, drug policy, health economics, health services research, outcomes research, patient reported outcomes studies, pharmacoeconomics and pharmacoepidemiology.